Brighton Grammar School is an Anglican boys' school in Melbourne. Our focus is to tailor teaching methods and programs to meet the unique learning styles and interests of boys and to create a curriculum that engages, excites and challenges each student. We offer a robust and diverse education that addresses a balanced development of the mind, the body, the aesthetic and the spirit. Brighton Grammar School is a community where boys, staff and parents work together. The size of the school allows us to provide a healthy range of options for boys, but also ensures that boys feel part of the place. Our focus is on boys' all-round development. We have a strong tradition of academic excellence, but also recognise that there are many ways that boys can enjoy success. We want boys to develop academically, socially, physically, spiritually and aesthetically, and we provide many opportunities for this to take place. 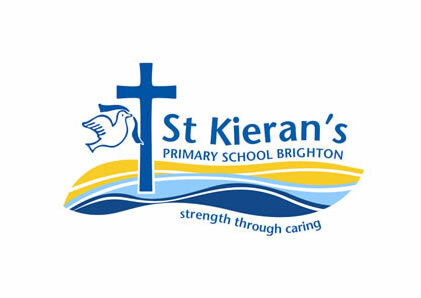 The Mission of St Kieran’s School is to assist the growth of each person, as a follower of Jesus Christ, spiritually, socially, emotionally, physically and academically. Each person is valued and encouraged to be self-disciplined and resilient. They are empowered to be creative and use their talents and energy for the good of local and global communities. Our school community provides quality Catholic education for children from Prep to year 7 in a co-educational setting. All the students classrooms and the library are fully air conditioned for comfort. A refrigerator is provided in every classroom for lunches and drinks. Our families love our wide open spaces. We have beautiful grounds and the classrooms are well resourced. The children have access to the computer lab and each classroom has a number of laptops to assist with learning. Each classroom is air conditioned and has a fridge for storage of school lunches. At Firbank, we are committed to offering our students an educational program which allows each student to achieve personal success. 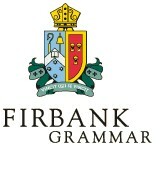 Firbank values its tradition of high academic standards and every student is expected and encouraged to work consistently to the best of her ability. Our overriding aim is to foster a love of learning and to stimulate creativity, intellectual curiosity and independent thought. Emphasis is placed on taking individual thinking and learning styles into consideration when planning, teaching and assessing. In the delivery of the curriculum, there is an emphasis on the development and use of critical thinking skills. Risk taking is valued. 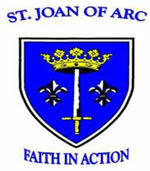 St Joan of Arc is a co-educational parish primary school in the Melbourne bayside suburb of Brighton. Established in 1921 under the guidance of the Presentation Sisters, the school is now governed by a lay Principal and staff. The school currently has an enrolment of approximately 285 students. We promote gospel values and develop knowledge and understanding of Catholic faith, doctrine and tradition. We support students to become successful learners, confident individuals and active and informed citizens by providing a comprehensive and inclusive curriculum built on essential skills and authentic contemporary learning which is interactive and innovative, allowing students to think critically, work creatively, analyse information and solve problems. We cater for individual needs, learning styles, backgrounds, perspectives and interests through art, Japanese, sport, camps and performing arts. Education in the 21st century is continually changing and at St James we identify ourselves as an innovative and dynamic place of contemporary learning. We aim to develop positive relationships with all; built upon respect, inclusiveness and pastoral care. We care about every child and family within the school. The development of each child academically, socially, emotionally, physically and spiritually is important in equipping them to be outstanding citizens beyond their primary school years. St James is a relatively small school with 215 students, who are our greatest gifts. In 2013 we have one Prep class, two Year One and Two classes, and one straight class from Year Three-Six. St. James’ School Brighton is a Catholic Parish Prep to Year 6 school in the heart of Brighton that has been servicing the Catholic educational needs of the public for over 100 years. We are also a neighbour to Star of the Sea College, Brighton. St Teresa’s School was established by the Sisters of Mercy from the Wilcannia - Forbes Diocese (main city Broken Hill) in 1916. St Teresa's School was named after St Teresa of Avila who was born in Avila, Spain in 1515. She was a great writer who was able to explain clearly her feelings and thoughts about God. Many of her writings are used today in songs. The first school room was in a small detached cottage in the convent grounds. From there the school moved into a converted conservatory, which served as a church and school for many years. This building later became known as ‘The Hall’ until demolished in 1983. The first school classroom was built in 1950 and the next in 1961. Modifications and up-grading were carried out in 1977 and 1979. During 2005 a major building project was undertaken and has brought the school to its present standing. The Sisters of Mercy administered and staffed the school until 1976, when the first lay Principal was appointed. 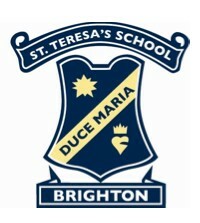 With the rationalisation of schools in the South West Region, St Teresa’s School became a Reception to Year 5 school in 1979. At St Teresa’s School, we embrace God’s unconditional love within the ordinary circumstances of life in our school community. This fundamental value is evident in our teaching and learning and is revealed in the way we touch the lives of those we meet along the journey. St Teresa’s School strives to provide a quality education for the 'whole' person - spiritually, emotionally, intellectually and physically - in a spirit of partnership with families and educators. We celebrate the uniqueness and acknowledge the dignity of each person within our community and encourage them to be the best that they can be. Our Mercy charism calls us to be mercy in action wherever we are. Nashville State School is a Co-Educational Primary School located in the northern Brisbane suburb of Brighton catering from Prep to Year 7. At Nashville State School we offer our students learning opportunities which engage them intellectually, physically, socially and emotionally optimising their participation while aiming for excellence. Nashville State School proudly presents our learning programs, Computer Lab, Resource Centre, remodelled classrooms which function as class learning spaces with desks, computer pods, kitchen facilities and alternative, life skill learning areas. We have a large area for our students to play, adventure playgrounds, covered areas, and an 'edible garden' which has become a feature of our school curriculum. We believe Nashville State School is one of the leaders in encompassing sustainability throughout all aspects of our school. We have an active and enthusiastic Student Council, School Leaders, Sports and Music Leaders. We offer intra-school and inter-school sport, instrumental music program, band and choir and actively encourage full participation in a range of school activities in the classroom and outside. Co-educational primary school catering for students from Years 1-6. SHINE Academy presents a specialised social and emotional education for 7-14 year old girls pro-actively building self-esteem, healthy confidence, emotional resilience and wide-ranging social skills to cope and excel in today's world. SHINE Academy is a modern finishing school with high expectations and high standards producing graduates who will be the inspiring young women and leaders of tomorrow. SHINE Academy for Girls promotes standards of excellence in: Emotional Resilience, Self Esteem and Healthy Confidence Outstanding Verbal and Visual Presentation of Self (historically known as Elocution and Deportment) Emotional (EQ) and Social Intelligence (SQ) Assertiveness (includes life-long skills to handle bullying) Social Etiquette Living and loving with integrity, honesty, kindness, courtesy and courage Our programs are held weekly for eight weeks of each school term. There are eight programs from which to select which are presented over the school year in pairs. Classes are held outside of school hours. The Director and Tutor, Melissa Anderson, creates a class atmosphere that is warm, appreciative, encouraging, attentive, engaging and inspiring. We do not allow cliques to forrm. We work as a team always. Our curriculum is designed to provide practical, hands-on training through peer review, discussions, role-play, multi-media analysis, case studies, experiential activities, competitions, games, self-assessment and structured class exercises. As well as building the foundations of being well-rounded, polite and courteous, we also provide girls with the finishing touches they need to really shine. Many of our students are high achievers who are looking for that extra edge in an already competitive world. Many of our students show early signs of leadership qualities and we work to develop and improve those skills even further.